Stop Wintu Fraud: Other Nor Cal Tribes Have Incorperated Traditional Tribal Band Guidelines Into Their Constitutions and Elections Ordinaces? Other Nor Cal Tribes Have Incorperated Traditional Tribal Band Guidelines Into Their Constitutions and Elections Ordinaces? Question? Have other tribes in the Northern California regional area sucessfully introduced traditional tribal structure into their Tribal Constitution's and Election Ordiance's? Let's take a closer look. The Klamath Tribes, following decades of depridations, military forays, massacres, and diesease introduced and committed against the Klamath, Modoc, and Paiute by Euro-American settlers pouring into Southern Oregon and Northern California, were forced to cede 23 million acres of their traditional tribal territory by Treaty in 1864. At the time Native Poeple all over Northern California were being force-herded, or killed indiscriminately, for resistance to be volutarily removed to a series of Military Reservations strategically located througout select sections of the North State. Reservations, some of which still exist to this day, that were established for the sole purpose of removing the Indian People from the land at large to more easily open the land for Homesteading, Timber Develoment, and Mineral Extraction. Not that all tribes here were much of a actual threat to thousands of non-indians, in those days it was one one white life, for a series of brutal massacres of women children, and the elderly, whereas any native male was already long gone or in hiding. The villages survivors were then promptly removed to the nearest reservation, chained, tied, and often whipped, force marched over mountains, thru rivers, stored in corrals at night, fed in troughs. Killed for escaping, killed for not keeping-up. This is the kind of history the white people of northern california left us. I do not wonder why our elders do not like to refer to that time. The Klamath Tribe were forced onto their reservation in their traditional tribal land on Upper Klamath Lake with other tribes with which they did not particulary have kind relations, plexed when forced onto a small piece of land under these conditions, by white intruders. The situation grew into the most famous mititary skirmish on the west coast. The Modoc's flight to the Lava Beds, to escape the removal to the reservation, to esacpe acculturation, to escape the abuse, to return to their land at Lost River. 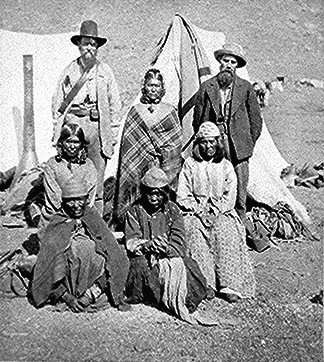 And for their escape in 1871-1872, they were removed to Indian Territory (Oklahoma) and members were not allowed to return home to Oregon until 1905. The Modoc are the only tribe from California to suffer this fate at the hands of Congress and the Department of the Interior. 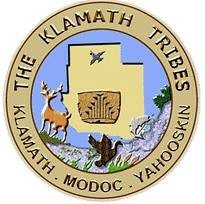 Today, the Klamath Tribes operate a governing body of their tribe as outlines in their tribal constitution. A tribal council elected by a general membership is the norm for tribes around, but that they exist on a federalzed reservation as a recognised tribe descended from a diverse lineage or Klamath, Modoc, and Yahooskin band of Paiute on the same land, in the same tribe, governed by a single tribal body of all members descended from people removed to the reservation, are collectively running and operating the modern "Klamath Tribes", while still recognising the members diverse lineage. What can the Wintu learn from this? Did the Curl's write tradition into the Toyon Constitution? Do they posess the knowlege to do so? Does the United Bands do much to recognise Wintu Bands? Wintu, Wintun, and Wintoo and european spellings of the pronuciation as heard by white ears. Not the real Wintu band names, they obviously, don't know. Does anyone know? Probably not, unless you are descended from someone who was recorded as being somewhere at some point on the record, or your family actually passed down thru oral tradition where your family is from, most members probably not know what village or band they are actuually from. The truth is the BIA never recorded Wintu bands on the cencuses. One good reason to be involved in your culture and not leave it up to a panel of people that you don't know, that don't know you, and don't care about your welfare. The Estom- Yumeka Maidu at Enterprise Rancheria are a tribe also created by the federal government. Again the Maidu, after decades of famine, dieseases, failed forced relocations to reservations, indiscriminate massacres, and land theft, were left landless after their reservations, exaclty like our own Wintu Reservation at Ash Creek, was guarenteed by BIA Indian Agent O.M. Wozencraft in 1851. In the Winter of 1851-52 however, back in Washington D.C. congress voted to not ratify/ adopt the 18 treaties signed with the Tribes of California that year, and were promtly deny these lands and foreced onto a poorly set up, and scandolously operated, series of Military Reservations thru California. The Maidu were forced marched in a infamous march from Chico, at Bidwell's Homestead, from their land guarenteed by the treaty three years before, 170 miles over the coast range to the Reservation at Round Valley (Covelo). This removal is commemorated annually by the Maidu and Round Valley Tribes in Northern California every year in the Fall. When the legislators finally wanted to do somthing for landless tribes of California that had not been removed, and that had not been allotted, or lost their allotted lands as a result of doublehanded federal legilsation taxing the land after the first 20 years, in 1915 were granted a piece of land in between the middle and north forks of the Feather River in Butte County as a Rancheria for thiese bands of Maidu. Today they operate a tribal government for the bands of their traditional territory, and they remain auntonomous from the other recognised and non-recognised bands of Maidu. 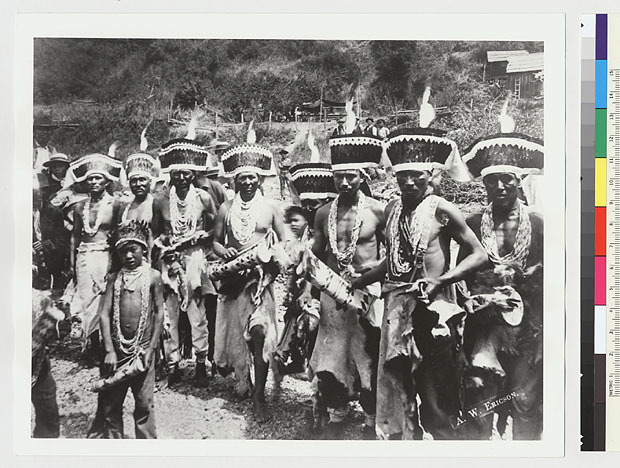 A federaly recognised tribe existing apart from the other bands, yet retaining their traditional connectivity. Points for the Wintu. Caleen can be the Winnemem if she wants to. The Nor-Rel-Muk can be the Nor-Rel-Muk, and the tribe will still get no-where beacause BIA has already advised us we have to unite, and these two bands come no-where near being all-inclusive of the many Wintu members. And still many more remain not formally enrolled in any of the modern not-for-profits claiming to be the Wintu Tribe. We Wintu people cannot allow this to occour. The Yurok Tribe, recognised thru the BAR/OFA process following the landfall Hoopa Yurok Settlement Act in 1988, exist and operate a tribal governing body on their large reservation along the Klamath River in Northwestern California. They adopted a gocerning document, a tribal constitution, at the time of recognition and it was immediately approved by the Secretary of the Interior. In their election ordinances is outlined the traditional Yurok Tribal tribal band areas. They chose to incorporate these ideals into the contemporary poltitical document and have seen a high rate of success with this voting structure. Wietchpec, Pekwan, Requa, Ner-er'ner; all traditional village groupings; and the outlying areas, are compiled in the ordinances and tribal members run to be district representatives from each district. Nom-ti-pom? Wenamem? Puidalpom? Ehl'pom? Daunom? Who runs where? Do you know where your family is from? Maybe you should ask your grandma? The metamorphasis of our tribal government is clear, this is not my idea, it is who we have always been. People please quit dragging your feet. I cannot wait, our children cannot wait. Our Wintu community together should not be forced to wait any longer for unity and for recognition. Forced to wait by those that do not possess the power, traditinal understanding, authority, personal intelligence, or moral fortitude to accomplish what must be done to help our people grow and return to our place in the Northern California Indian community. It has been far too long.